What is the difference between a Rule and a Local Rule? As you probably already know, the USGA has announced a new Local Rule concerning the accidental movement of a ball on the putting green that takes effect January 1, 2017. We will discuss that Rule in its entirety at a later date, but for now let’s discuss exactly what a Local Rule is. Every time we step foot on a golf course to play a round, be it a casual Sunday afternoon round or the final round of the U.S. Women’s Open, the Rules of Golf are in effect. The Rules of Golf are the standard set of regulations and procedures that every round of golf must be played by. Although the Rules are extensive, they do not always address EVERY situation a player might find herself in on every course in the world. For that reason, the USGA and the R&A created a standard set of Local Rules that can be put into effect by the Committee in charge when necessary. When you play in a CGA event, there is a standard set of Local Rules that we call our CGA Hard Card. This Hard Card includes Local Rules that are in effect at every CGA tournament, but are not covered in the Rules of Golf. 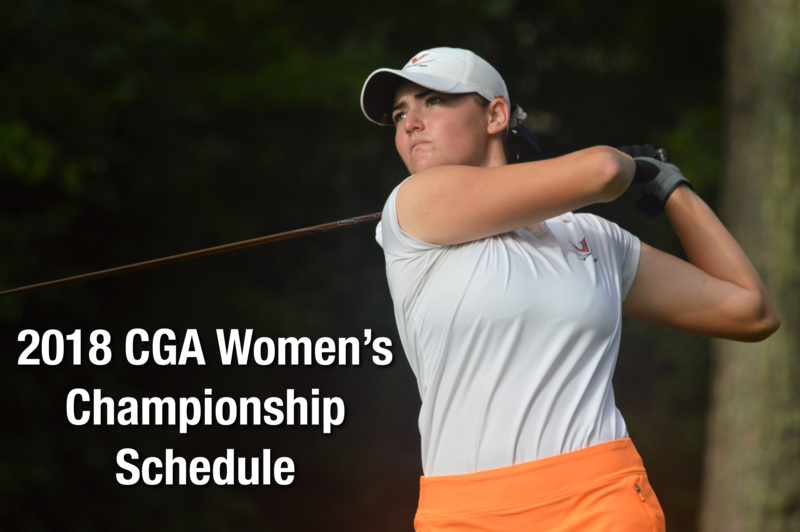 At all CGA championships you will also receive a Notice to Competitors that is specific to that golf course and has specific Local Rules in effect for that day of competition. Additionally, most clubs across the country have a specific set of Local Rules that are in effect for their daily play. So what is the difference between a Rule of Golf and a Local Rule? The difference is that the Rules of Golf are ALWAYS in effect and Local Rules must be PUT INTO effect. So, in order for a round of golf to be played under a Local Rule, the Rule must be put into effect by the Committee in charge. Like it sounds, a LOCAL Rule is LOCAL to that golf course and/or that competition. EMBEDDED BALL: “Through the green”, a ball that is embedded in its own pitch-mark in the ground may be lifted, without penalty, cleaned and dropped as near as possible to where it lay but not nearer the hole. The ball when dropped must first strike a part of the course through the green. Exceptions: 1. A player may not take relief under this Local Rule if the ball is embedded in sand in an area that is not closely-mown. 2. A player may not take relief under this Local Rule if interference by anything other than the condition covered by this Local Rule makes the stroke clearly impracticable. DISTANCE MEASURING DEVICES: In this competition, a player may use a device to measure distance only. However, if, during a stipulated round, a player uses a function to measure other conditions that might affect his play (e.g., gradient, wind-speed, temperature, etc. ); the player is in breach of Rule 14-3. IMMOVABLE OBSTRUCTIONS CLOSE TO THE PUTTING GREEN (BALL IN CLOSELY-MOWN AREA): Relief from interference by an immovable obstruction may be taken under Rule 24-2. In addition, if a ball lies off the putting green and in a closely mown area through the green and an immovable obstruction on or within two club-lengths of the putting green and within two club-lengths of the ball intervenes on the line of play between the ball and the hole, the player may take relief as follows: The ball must be lifted and dropped at the nearest point to where the ball lay that (a) is not nearer the hole, (b) avoids intervention and (c) is not in a hazard or on a putting green. The ball may be cleaned when lifted. STONES IN BUNKERS: Stones in bunkers are movable obstructions. So why is this important? Because if distance measuring devices aren’t allowed by Local Rule, you are not allowed to use them and will be penalized (and possibly disqualified) if you do. Please remember that Local Rules must be put into effect in order for players to use them. If your club does not adopt the new Local Rule concerning the accidental movement of a ball on the putting green, that Rule does not apply to your round at your club. Make sure to check back soon for another Rules Review! Questions about Local Rules? Email Maggie. Every golf course is divided into four major parts. Understanding these four parts of the golf course is essential to understanding HOW to apply the Rules of Golf. In the next four weeks we are going to discuss the four parts of the golf course. Why is this important? When you are referencing your Rules book, you will notice that in relief situations, Rules will normally distinguish between the parts of the course and how to take relief in each part. You must know what through the green means in order to make sure you are in the correct spot to take relief under that portion of a Rule. When you are finding your nearest point of relief from an immovable obstruction (Rule 24-2), abnormal ground conditions (Rule 25-1) such as ground under repair or casual water, or from a wrong putting green (Rule 25-3), it is important to know that you must find your NEAREST point of relief, and not necessarily your NICEST point of relief. So, if you are taking relief from a cart path (immovable obstruction) and there are bushes that line the cart path, what are those bushes? They are through the green. Therefore, your nearest point of relief could be right in the middle of those bushes. Those bushes have the same status as the fairway and the rough! Almost all amateur competitions (and many professional competitions) use the local Rule in Appendix I that gives players relief for an embedded ball through the green and not just in the fairway. Make sure to check back soon for for another Rules Review! Questions about through the green? Email Maggie. A hazard, as illustrated in the photo above, is one of two things: a bunker or a water hazard. A bunker is a hazard consisting of a prepared area of ground, often a hollow, from which turf or soil has been removed and replaced with sand or the like. A water hazard is any sea, lake, pond, river, ditch, surface drainage ditch or other open water course (whether or not containing water) and anything of a similar nature on the course. When referencing a Rules book, you will notice that oftentimes a Rule will refer to a bunker or a water hazard separately – in this case, although they are both ‘hazards’, they are treated differently. It is also important to understand that if a Rule ONLY refers to a ‘hazard’ it is being inclusive of both a bunker AND a water hazard. For example, Rule 23 (Loose Impediments) states that Except when both the loose impediment and the ball lie in and touch the same hazard, loose impediments may be removed without penalty. In this case, ‘hazard’ covers both bunkers and water hazards. We will go into more detail about both bunkers and water hazards separately in the coming weeks, but for now, we will discuss a few helpful hints that pertain to hazards in general, whether it’s a bunker OR a water hazard. Make sure to check back next week for Part Four of this series – Through the Green! Questions about hazards? Email Maggie. A ball is ON the putting green when ANY part of it touches the putting green. This is perhaps the most important part of the definition – if even ONE dimple of your golf ball is touching the putting green, your ball is ON the putting green. Why is that important? Because now you can mark your ball, lift it and clean it before making a stroke! Make sure to check back next week for Part Three of this series – Hazards! Questions about the putting green? Email Maggie. The teeing ground is the starting place for the hole to be played. It is a rectangular area two club-lengths in depth, the front and sides of which are defined by the outside limits of two tee-markers. ONLY the two club-length area is considered the teeing ground, even though that area does not take up all the area on a tee box. If you are proceeding under the stroke and distance option of a Rule (i.e. you hit your ball out of bounds and must return to the tee, you are taking relief from a water hazard, you have declared your ball unplayable), and your original stroke was made from the teeing ground, you can tee your ball for your next stroke. Every tee box on the course other than the teeing ground of the hole being played is THROUGH THE GREEN (therefore, if a relief option is available that will allow you to drop on a different tee box, you do NOT get to re-tee the ball). Make sure to check back next week for Part Two of this series – the Putting Green! Questions about the teeing ground? Email Maggie. Declaring Virtual Certainty: How certain are you? A player hits her tee shot toward a lateral water hazard (red line) that runs down the left side of the hole. She (and her playing partners) see the ball heading toward the water, but nobody is quite sure where it ends up. When she reaches the spot where she believes her ball could be, she can’t find it and there is a lot of thick grass and shrubbery around the area. How should she proceed? Should she assume her ball is in the water hazard and take relief? In the picture on the left, if you hit your ball to the left or right (or behind the green) and can’t find it, chances are it is IN the water. That’s mostly because there’s really nowhere else it could be. The grass around the bank is short, there aren’t many trees or shrubs, and there’s nowhere that the ball could really be lost other than IN the water. However, in the picture on the right, there is tall grass around the edge of the water, trees on either side of the hazard and LOTS of places a ball could be lost other than in the water. I would argue that if you hit your ball toward the hazard on the right and you didn’t physically see it go in or see or hear a splash, there’s a really good chance that ball is NOT in the hazard. Therefore, you would not have virtual certainty. Decision 26-1/1 clearly defines knowledge or virtual certainty and in order to truly understand this concept, it is a must-read. The decisions states: in determining whether “virtual certainty” exists, some of the relevant factors in the area of the water hazard to be considered include topography, turf conditions, grass heights, visibility, weather conditions and the proximity of trees, bushes and abnormal ground conditions. The bottom line with virtual certainty is this: You need to be virtually certain that the ball cannot be ANYWHERE OTHER THAN in the water hazard in order to take relief under this Rule. If there is an argument that the ball could be lost ANYWHERE ELSE, you don’t have virtual certainty and you cannot proceed with your water hazard relief options under Rule 26-1. Make sure to check back next week for another Rules Review! Questions about virtual certainty? Email Maggie. Since it’s Ryder Cup weekend, let’s discuss a very popular form of play in women’s golf and a huge part of the Ryder Cup format: Four-Ball Match Play. As always, we’ll start with the definition: A four-ball match is a match in which two players play their better ball against the better ball of two other players. 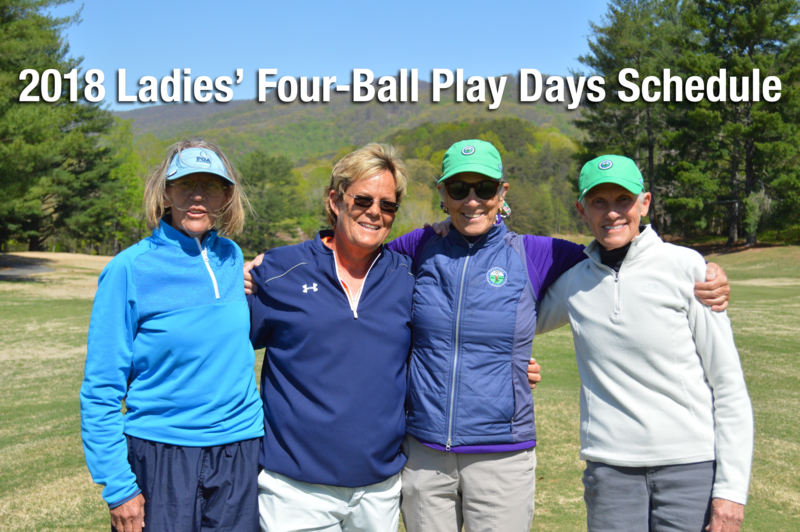 Often times this format is referred to as “better ball” or “best ball.” Most ladies’ interclub leagues have a four-ball match play format, so you have likely played this format before. Below are a few Rules to remember when playing your next four-ball match. Questions about four-ball match play? Email Maggie.